Panaji (Goa) [India], Sep 24 (ANI): Goa Congress president Girish Chodankar on Monday termed Chief Minister Manohar Parrikar's decision to drop two ministers from the state cabinet on health ground as 'laughable and hypocrite'. Geneva [Switzerland], Sept 21 (ANI): Political activists from Pakistan-occupied Kashmir (PoK) have expressed concerns over growing extremism and terrorist activities in the region during an event on the sidelines of the 39th Session of the UN Human Rights Session in Geneva. Bucharest [Romania], Sep 20 (ANI): Vice President Venkaiah Naidu on Thursday said that the growing outreach of Romania and India's political leadership has created a fertile ground for the economic development. 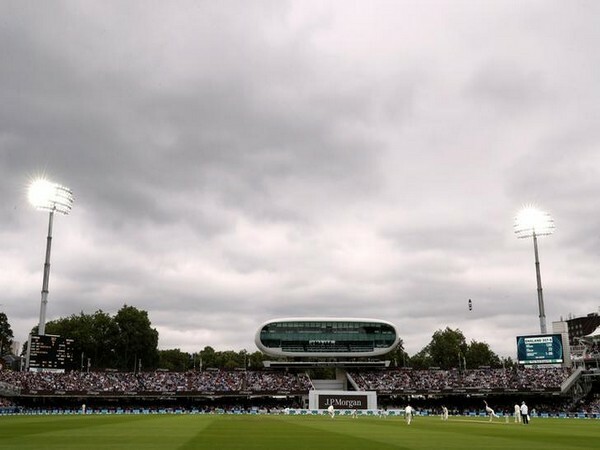 London [UK], Sep 15 (ANI): The Marylebone Cricket Club (MCC) has appointed Karl McDermott as the new head groundsman of the Lord's Cricket Ground ahead of the World Cup. Chennai (Tamil Nadu) [India], Sep 09 (ANI): Dravida Munnetra Kazhagam (DMK) president MK Stalin on Sunday snubbed the Centre's report on groundwater contamination in Thoothukudi district, where the Sterlite copper smelter plant is located and said that the analysis was pro-Sterlite. New Delhi (India) [India], Sep 09 (ANI): The Maharashtra Navnirman Sena (MNS) extended their support to the Bharat Bandh called by Congress and other opposition parties tomorrow over fuel price hike. Hyderabad (Telangana) [India], Aug. 29 (ANI): Activists and academics staged a protest on Wednesday at Hyderabad's Ambedkar statue demanding the release of activist Varavara Rao, who was arrested by the Pune police in connection with the Bhima Koregaon violence. Hyderabad [India], August 28 (ANI): A woman threw her one-month-old infant to the ground in a fit of rage after she was involved in a brawl with her husband at Hyderabad's Mehdipatnam area on Monday. New Delhi [India], Aug 25 (ANI): Journalist-turned-politician Ashish Khetan, who is the latest to join the list of leaders who stepped down from the Aam Aadmi Party (AAP), has said that he parted ways from the Delhi Chief Minister Arvind Kejriwal-led party on personal grounds. New Delhi (India) August 24 (ANI): Aviation Minister Suresh Prabhu on Friday directed the Directorate General of Civil Aviation (DGCA) to submit a report on grounding of A320 Neos. He said security of the passengers is of paramount importance and should not be compromised at any cost.